I love the trend of matte nails, they are just something a little different and unique. I’ve tried matte top coats in the past and was fairly impressed by the Bourjois So Matt Top Coat and the Ciaté Chalkboard Manicure which I wrote about here and here. Unlike the Bourjois So Matt Top Coat it isn’t as obvious or frosted like. It gives a very even, definite matte finish. My nails are painted false nails but the OPI matte top coat has still made them look so much more even and perfect and these matte black nails have worked really well. Often black nail polish can look a little uneven and pretty horrible if it chips even a little. The matte top coat did make them very chip resistant and, I think, made a more classy black nail. 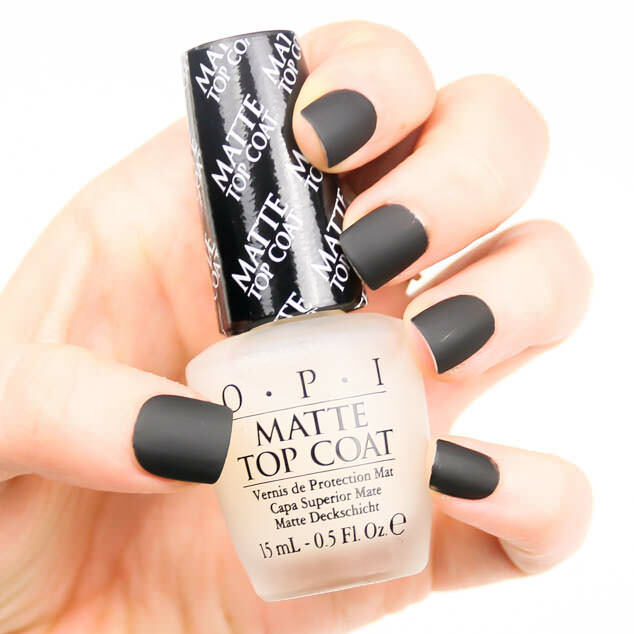 OPI nail polish is one of my favourite nail polish brands and I think they have got this matte top coat so right. It works immediately, gives a great, consistent result and dries in seconds. I would recommend two layers of colour base coat though as the matte polish picks up some of the colour as you apply it. For more of an effect you can add a bit of nail art. After these photographs were taken I painted designs using the original black polish. The designs were very subtle showing the contract between the shiny and matte and did look really good but I couldn’t get a very good photograph of them. It was great for a classy, discrete design. Matte polishes work very well on darker polish shades but I am keen to try it out on lighter varnishes as well as having a go at matte white nails. 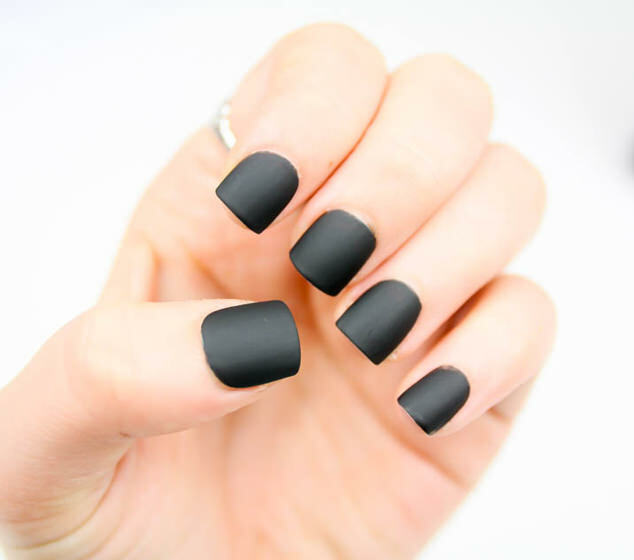 Are you a fan of Matte Black Nails?